This bar is all about simple pleasures: Californian almonds (smaller than your average, but that little bit sweeter) and moist jumbo sultanas. Chunky American peanuts pack in some protein and our specially selected Turkish apricots add caramelly sweetness and a soft chewy texture. Eat Natural Almond & Sultana with Peanuts & Apricot is rated 4.8 out of 5 by 6. Rated 5 out of 5 by NS67 from Delicious! Yummy scrummy...what more can I say! i would swap a chocolate bar for one of these every time. 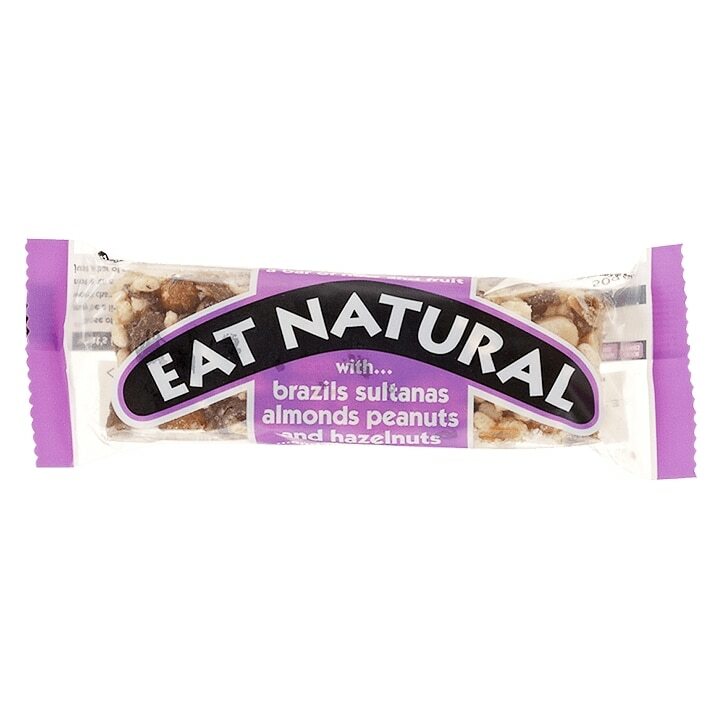 Rated 5 out of 5 by Blue29 from In my opinion - the best bar of its kind on the ma I discovered this Eat Natural Brazil Nut, Sultana and Almond Bar some time ago! I was "hooked" from the very first bite! Nuts and fruit are my favourite food so the bar is a satisfying snack! Everyone in my circle of family and friends - regardless of their age enjoy the bars, also!